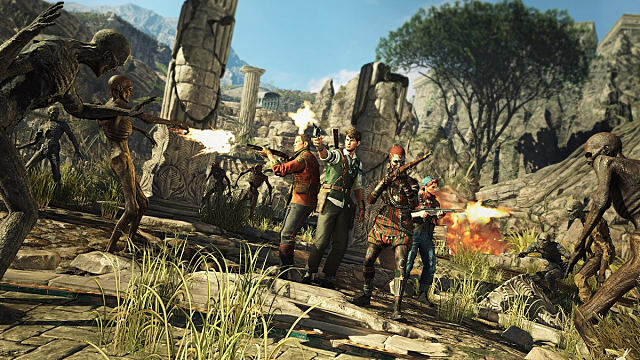 For a particular breed of gamer who loves overcoming challenges with a team, Strange Brigade couldn't land at a better time. Did you spend way too much time trying to hit wave 50 in Gears Of War's horde mode? Was it a regular occurrence for you to co-op Left 4 Dead 2 or Resident Evil 5 with your drinking buddy until the wee hours of the morn? Do you consider it your solemn duty to discover every last nook and cranny of any given Call Of Duty zombie mode? 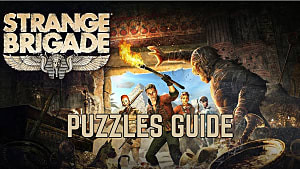 The tomb-exploring pulp adventure Strange Brigade combines all those mechanics into one full game and throws in a few other styles for good measure. Genre Boundaries? Who Needs 'Em? There's a truly odd mashup of archetypes from across the gaming spectrum on display here -- starting with the third person perspective rather than the tried and true FPS viewpoint -- but it's an overall fun combination. Dodge rolling away from attacks and stomping downed zombie enemies is pure Gears Of War. You might not be playing a genetically enhanced super-soldier always on the lookout for a cover point, but there will still be plenty of head squishing going on. 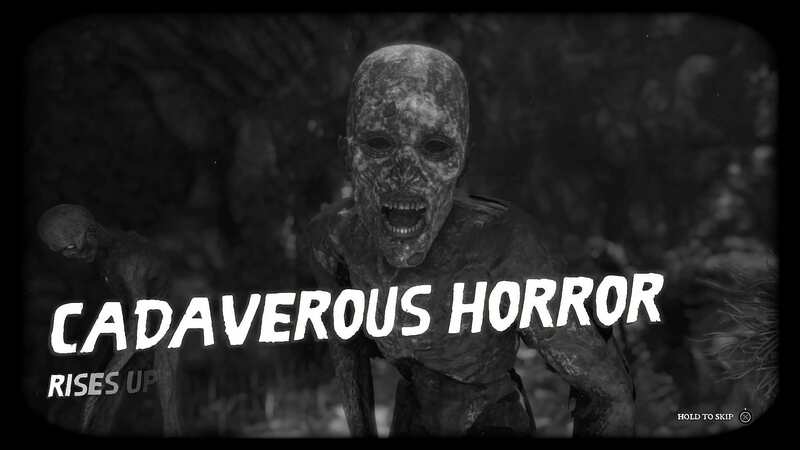 Oddly enough, the game's font combined with the safari locations and overly-excited narrator all strongly bring to mind Kinect Adventures from the Xbox 360, which obviously is a radically different genre. Earning coins through kills to open doors or buy limited use super weapons definitely has a Call Of Duty zombie mode feel. Ditto on the overall atmosphere and character types, which exude that over-the-top '50s pulp atmosphere. The base gameplay meanwhile pulls heavily from 4 player co-op monster shooters like Left 4 Dead or Warhammer: Vermintide. Most of the elements you loved from those games are on full blast here, like choosing from four characters with different starting load outs, tackling waves of enemies, and so on. Team members even revive in specific locations on the map if one of them dies (this time popping out of a sarcophagus instead of being found in a closet). 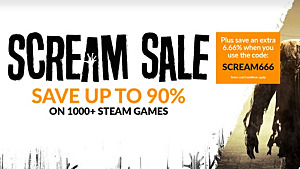 Unlike L4D or Vermintide, this isn't a game where you can wade into the hordes with a two handed axe or chainsaw and come out the other side. Instead, your arsenal revolves around a single main ranged weapon -- like a bolt action rifle or quick firing SMG -- with an unlimited ammo pistol as a backup. Your build can be tweaked further by completing puzzles to open doors and acquire sigils. Whether you want to heal with each kill, set enemies on fire, or just flat out deal more damage, these are you main method of upgrading equipment. 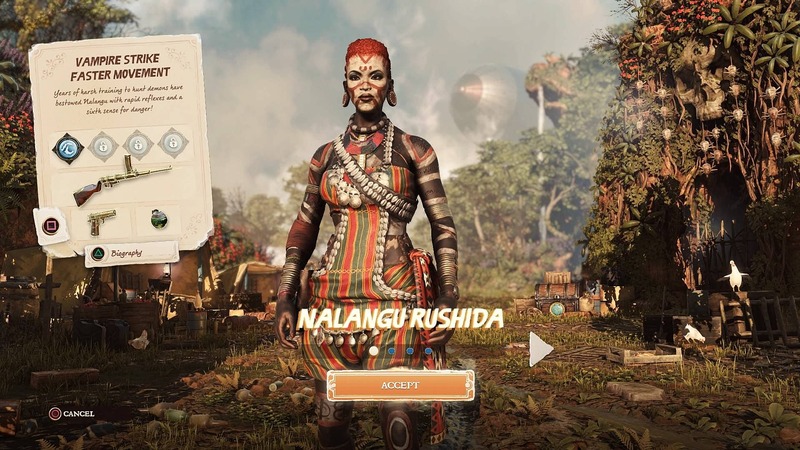 Different play styles are accommodated by each of the four starting characters, but as you unlock new weapons and magic sigils, essentially any character can take any role. Strange Brigade isn't quite a 1 to 1 crossover from Left 4 Dead though, and there are lots of changes to tweak the gameplay -- some good, and some bad. Both the campaign storyline and the horde mode heavily rely on luring enemies into traps to whittle down the throngs of undead. Carefully planning how to activate traps and navigate their cooldown times is a major component of your survival strategy. Whirling blades pop out of the ground for chopping up those skittering giant scorpions, for instance. Blasts of flame and retractable floor spikes are better suited for shambling the undead, and so on. Utilizing the environment to take out enemies is a fun twist, but it also reveals one of the game's major flaws. 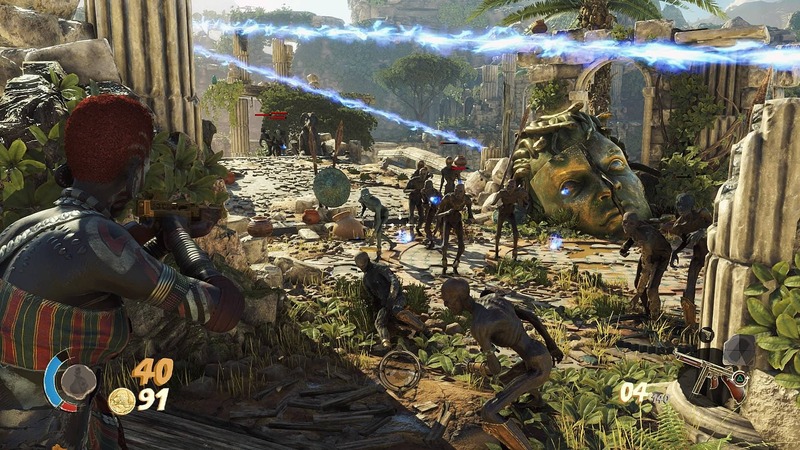 Strange Brigade just simply doesn't have nearly the speed or frantic nature of Left 4 Dead. You won't often (if ever) have to restart a level in the campaign to try again. That sense of accomplishment is missing when your team finally figured out the best strategy for surviving a wave while taking out the giant boss monsters. Much of the game is quite slow moving in fact, and it's not often you will ever feel like the hordes can truly overwhelm your defenses. 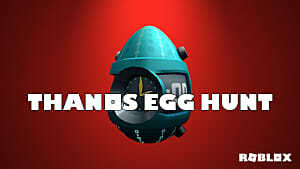 Playing the campaign solo, its unlikely you'll die even once, let alone manage to do it 50 times to unlock an achievement! Until you reach the higher waves on horde mode or get into the boss sections of the later campaign missions, there simply isn't a ton of challenge here. Whether you are co-oping or going solo, you won't often feel any legitimate sense of danger. Sadly, there's no split-screen local co-op option, but that's just how games tend to go these days. Multiplayer on the couch with your best friend is a thing of the past, and instead, you've got to play with a disembodied voice over the Internet. 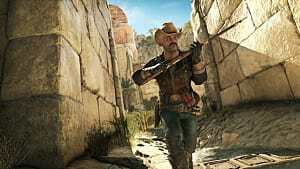 One element that sets Strange Brigade apart from the competition is that both the campaign and the horde mode are balanced for solo play. Yes, you can actually play the game from beginning to end on your own if you prefer. Tracking down collectibles and overcoming puzzles to find more loot and upgrades for your weaponry adds a level of replayability for the solo player. If you prefer a group of grave robbers stomping into ancient Egyptian tombs as a team, however, then you get the classic 4 player co-op experience. Every campaign level is jammed packed with puzzles to work out with your teammate. The campaign puzzles even change between solo and co-op modes, so there's reason to play both ways. You may want to ditch the slower, easier campaign mode however and dive straight into the heart of the game. 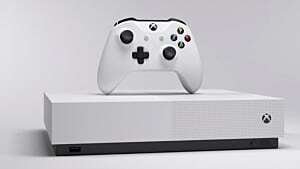 Horde mode is where gamers are probably going to spend most of their time and get the most replay. Although the slow-moving zombies remain easy to overcome, this mode offers much more challenge in later waves with the addition of boss creatures. Avoiding a crowd of the walking dead is one thing, but doing it while leaping away from charging minotaurs, dodging blasts of magic from mummies, and avoiding the stinging tails of giant scorpions is another matter entirely. What you get here is essentially a full game version of COD's Zombie mode, complete with buying your way through doors to increase the play area to spending money on weapon upgrades in-between waves. 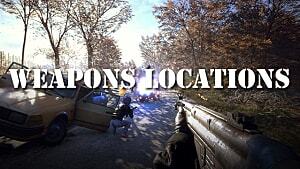 Snipers, grenade-lobbers, or automatic weapons fire experts all have their place here with the wide range of weaponry. For me, the explosive tip crossbow and noisy blunderbuss -- which is effectively the game's take on a shotgun -- are easily the most satisfying options. 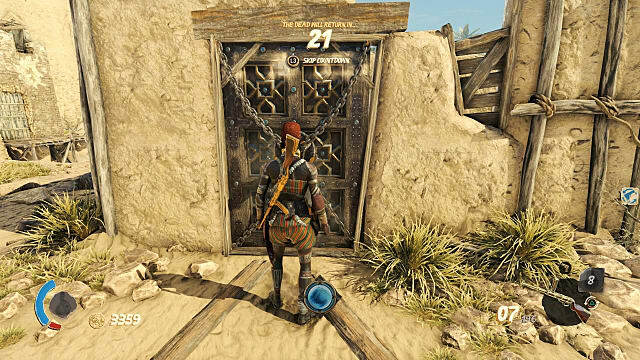 Strange Brigade does feature a twist on this style though, and it will be very welcome for most players. You can restart at any wave you've previously reached, so there's no need to kick off horde mode from wave 1 again every time. 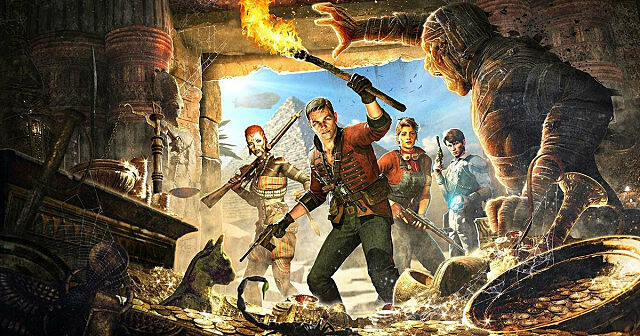 Whether you're playing the campaign, horde, or the score attack mode, Strange Brigade is inundated with pulpy humor. 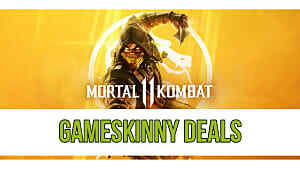 There are plenty of dark and heavy games these days, so a little levity and a tongue-in-cheek style aren't unwelcome. The narrator clearly seems to know he's in a video game and makes offhand remarks when you pause the game like "Oh, is someone at the door? I'll wait." I legitimately laughed out loud at one point when hitting pause and heard a deadpanned "...two sugars for me, please." To give you an idea of what sort of humor is on display, there's actually an achievement for annoying the narrator, and he mentions you are unlocking it when it pops on the screen. 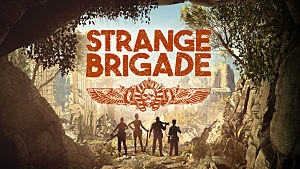 So here's the thing -- if you don't like silly pulp action and need something as difficult as a Souls game, then Strange Brigade probably won't be for you. On the other hand, if the idea of having a hilariously good time with a team while tromping through ancient Egyptian pottery sounds like a killer way to spend the weekend, you should grab this one as soon as possible. 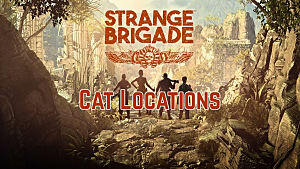 Since we're in the doldrums now with no new Borderlands or Left 4 Dead in sight, and Gears 5 still about a year away, Strange Brigade stands in as the new de facto co-op experience for the foreseeable future.